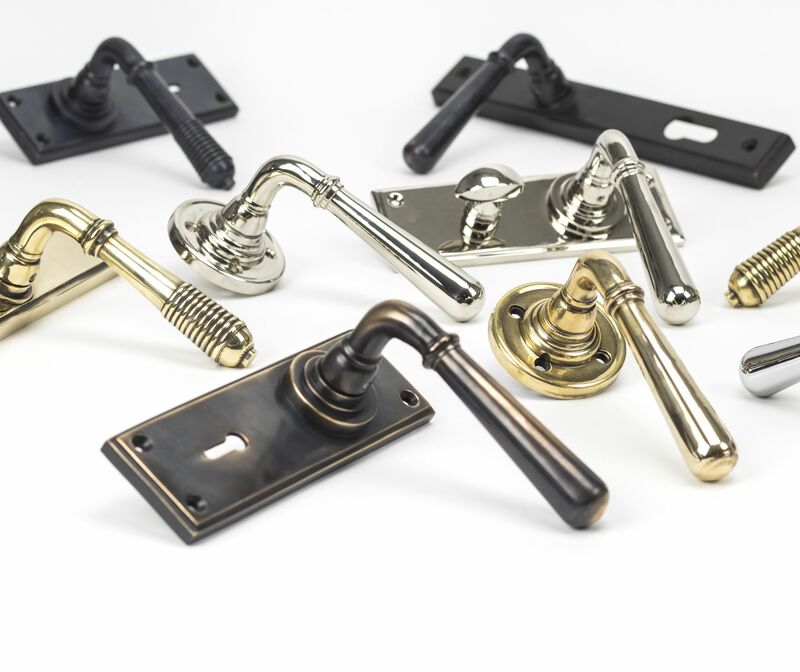 Our selection of From the Anvil door handles and door knobs features a wide variety of door ironmongery to meet any and all of your requirements. This range of door handles is available in a diversity of styles and finishes, being perfect to fit various settings, including cottage houses, barn doors, quirky cafes and many other buildings. Within our range of door handles, we have available a collection of lever handles on a backplate and lever handles on rose. This type of door handles is ideal for both traditional and more modern homes, as well as commercial buildings. 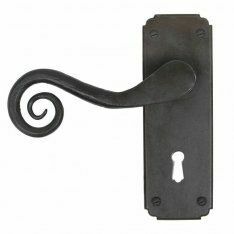 Our gothic curved lever handles and pewter regency lever on rose are perfect for traditional properties, historical renovations, and cottages. Whereas, our chrome Newbury lever lock furniture and Newbury lever on rose can be used in both traditional or contemporary settings. 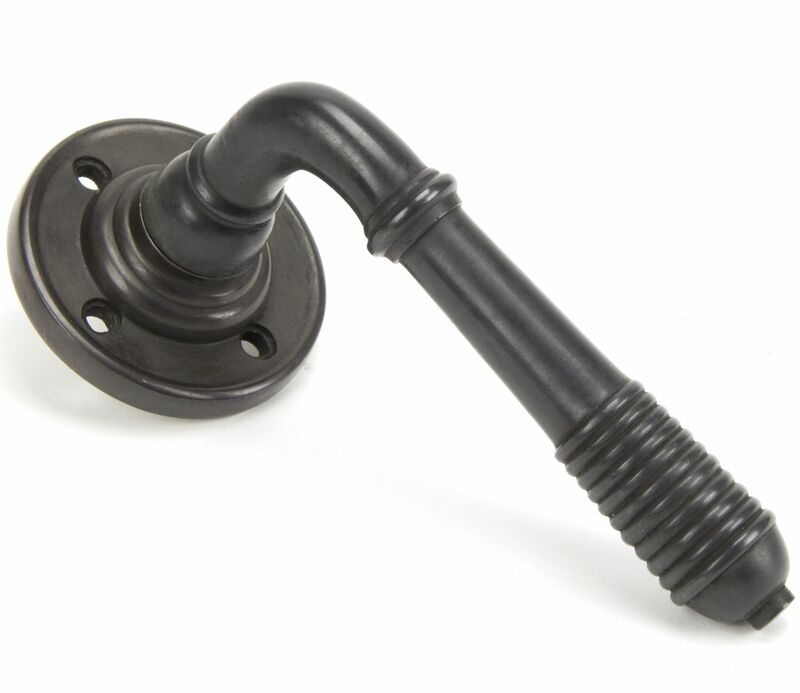 Additionally, we supply From the Anvil door knobs which come in a variety of shapes, styles and finishes, and are ideal for interior doors. 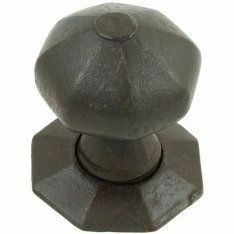 From more unusual door knobs, such as ring turn handles and flower mortice knobs to unique door knobs, including Brockworth mortice knobs and wooden beehive mortice knobs. For exterior doors and gates which only need to be fastened, we would recommend our selection of latches. 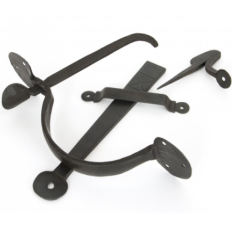 Within this selection, we supply more traditional and decorative latches, such as cottage latches, Shakespeare latches, as well as simple and functional latches, including privacy latches and thumb turn latches. These latches can be paired with door locks for added security and privacy.